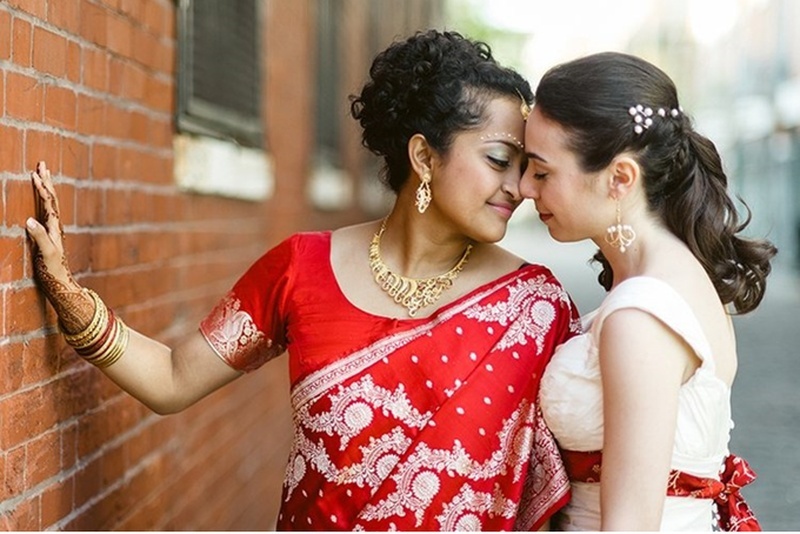 15 Heart-Warming Pictures Of LGBT Indians That Found Love And Got Married, Irrespective Of Gender, Race And Colour. Irrespective of who and where it comes from. Don’t y’all agree? These pictures of 15 LGBT Indians that managed to free themselves from the restrictions and norms of our country certainly had us feeling like the world’s not all that hopeless after all! Being posted on an Indian wedding site, I’m sure that this blog will receive negative feedback as well. But again, love is love; and if anyone is so lucky as to find it, they shouldn’t have to shy away or be shunned away just for expressing it. So check out these pictures of LGBT Indian couples that prove that true love really does conquer all.